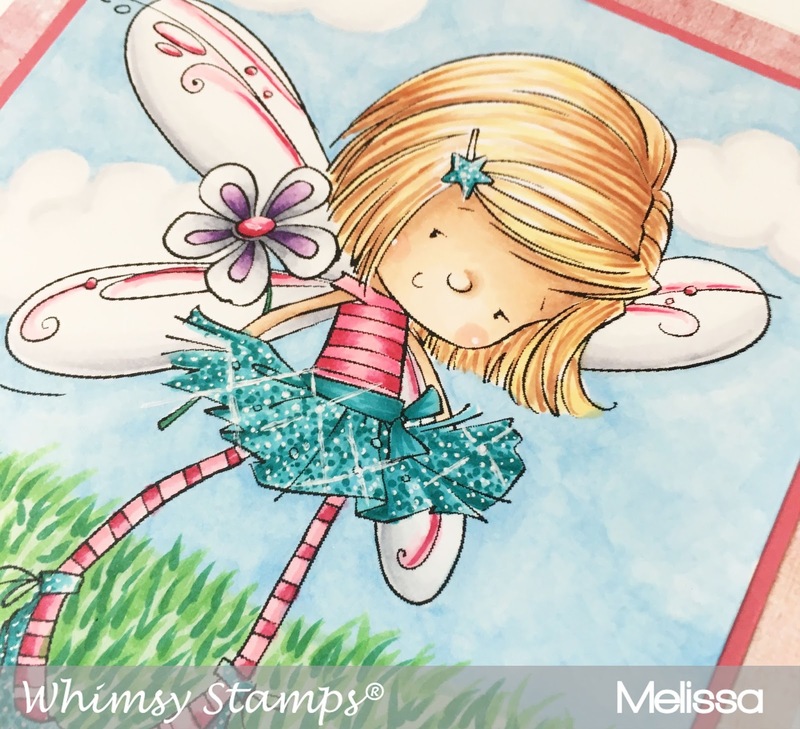 Melissa Made: Fairy Sweet - New Release at Whimsy Stamps! Fairy Sweet - New Release at Whimsy Stamps! Hi ya everyone! It's day 2 of new releases at Whimsy Stamps and the best news is you can purchase any of the stamps right now. Today, I'm super excited to share a new sweet fairy called Flower Fairy. There are also two other new fairies being released that are too cute for words. I colored her in Copic markers and used a fun sparkly technique on her skirt that you can watch Zoe from Make It Crafty give a tutorial on. I created a fun summery scene for her, which I feel is me dreaming as temperatures have reached an all new low here in Ohio. 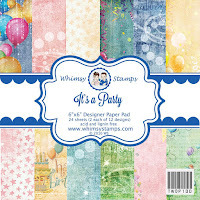 I also used paper from Whimsy stamps called It's a Party. The bling I added is also from Whimsy Stamps. Please pop over to the Whimsy blog and see all the new stamps! I've added links to the new fairies below as well.